for today’s sketch i gave myself 10 minutes to study a piece of architecture. it’s a good exercise to time yourself so that you can quickly put down the main things from an image that you see. this is a “little” church in Rome by Richard Meier. i think it’s so beautiful and i haven’t even been there. 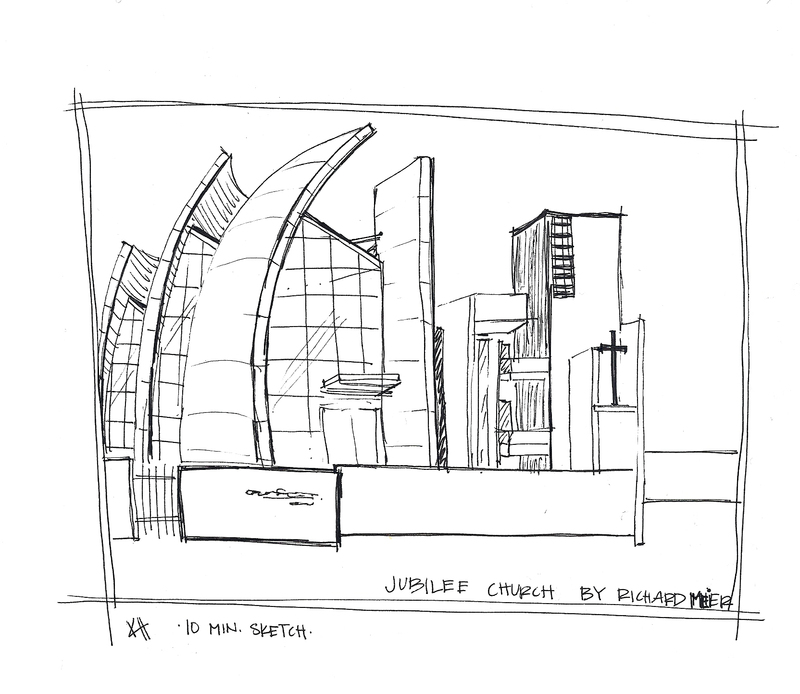 Here’s a link that tells more about the church with an interview from the architect. the building and the design just takes my breath away!